Glasco citizens have a long tradition of supporting the community and its institutions. 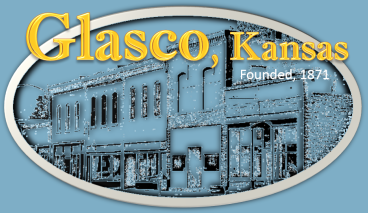 The Glasco Community Foundation, incorporated in June, 1999, was founded to build on this tradition, uniting the community to ensure a way of life now endangered in rural Kansas, in rural America. Glasco, Kansas was incorporated in 1876, just two years before the Union Pacific Railroad reached Glasco. Pioneers and immigrants were drawn to the lush Solomon Valley and they established the balanced community that has distinguished Glasco ever since. A vigorous economy flourished, supporting the surrounding agricultural development. Schools, churches, and the newspaper were established within Glasco's first decade. They continue to the present time as the backbone of the community. Those who have chosen Glasco as home find a history of character and fortitude that makes them proud. Respect for the gifts from the past creates the desire to sustain this community, maintaining the values molded through its history, and building on a progressive will to preserve and enhance the quality of life for residents of Glasco. 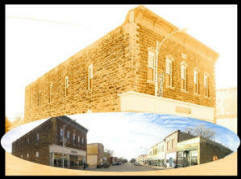 Promotes citizen involvement and support of activities that encourage preservation and maintenance of community assets. Supports civic, cultural and recreational activities that promote a quality of life leading to the continued existence of a viable Glasco community. Provides a vehicle for accepting memberships, memorials, donations, and gifts of cash from individuals, families, corporations, nonprofit organizations, and private foundations to address community needs. Every membership and gift is important. The foundation provides for all gifts to make a difference. That the future of our community is in our hands. Investing in our youth and their education is a sound decision. That a healthy community provides the best opportunity for families and future generations to remain within the community. The Glasco Community Foundation purchased the historic grocery store building on the corner of Main and Fisher, preventing its demolition for rock. The Glasco Community Foundation made strategic improvements in the grocery store building, enhancing its potential as a successful business site. ○ Compassion Kansas Grant to increase capacity to meet community needs. in Civil War Veterans research project. The Glasco Community Foundation coordinated research that led to Downtown Historic District designation by the National Park Service, November 17, 2002. The Glasco Community Foundation publishes twice annual membership newsletter and quarterly Rural Activity Center Newsletter. The Glasco Community Foundation received the Met-Life Foundation Award 2002 for working with students and school in preserving the historic building and enhancing learning. The GCF's Corner Store received the 2005 PRIDE Star Award recognizing the outstanding programs provided by volunteers. The Glasco Community Foundation holds community building annual membership meetings. Speakers include Cathy Ambler, Fred Krebs, Marci Penner, Marcia Knowles, Walter (Squeak) Wolf, Dennis McAlister, and Brenda Berndt.